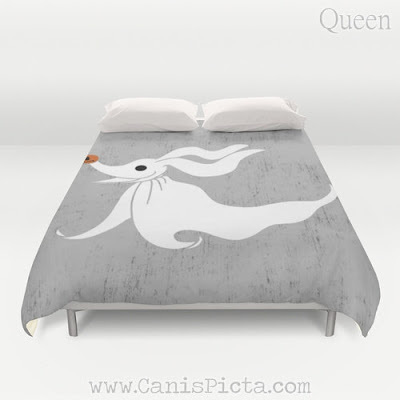 I wanted to show you a few cool home and bedroom decor items from the Canis Picta shop on Etsy. 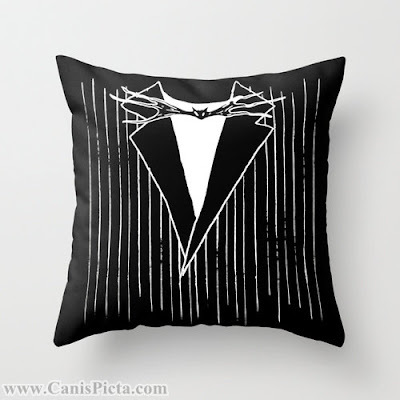 I might not do an entire bedroom in Nightmare Before Christmas decor, but I'm definitely picking up one of these Jack Skellington throw pillows. There's a Jack Skellington duvet cover for your bedroom, too. 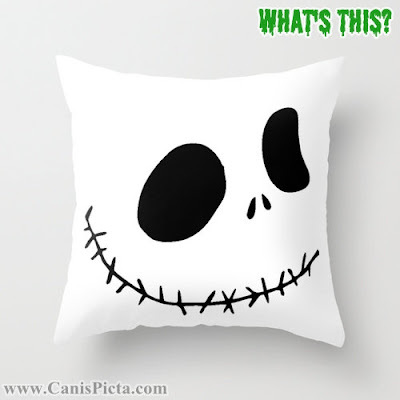 If you prefer Jack's face to the pinstriped suit, this shop will custom make you Jack Skellington throw pillows with several of Jack's different facial expressions. 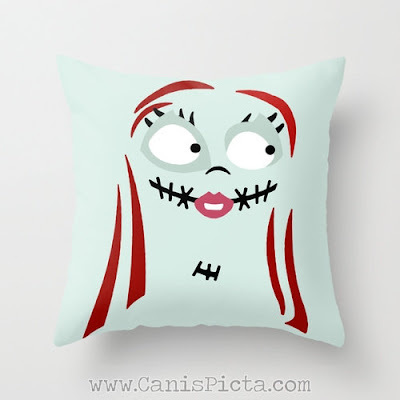 Here's the adorably named Sally Finkelstein Skellington throw pillow. 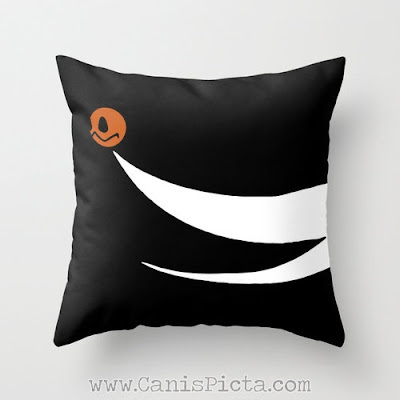 Or perhaps you prefer this alternate version of a Sally throw pillow? 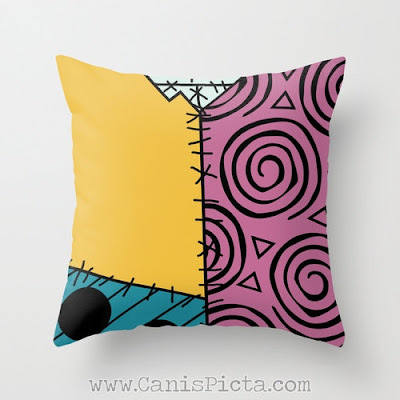 Or here's a throw pillow with Sally's iconic dress design. Who wouldn't want to come home after a long day at the office and snuggle up under this Zero duvet cover? Here's the matching Zero throw pillow. 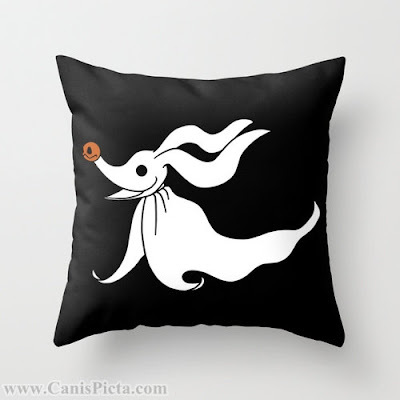 Or perhaps you prefer seeing Zero's entire body on a throw pillow design. Oogie Boogie is actually my least favorite NMBC character, you may be surprised to find out. But should you feel the need, here's an Oogie Boogie duvet cover for your queen sized bed. 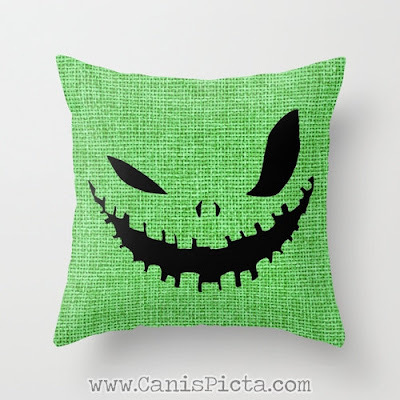 Here's the matching Oogie Boogie throw pillow. 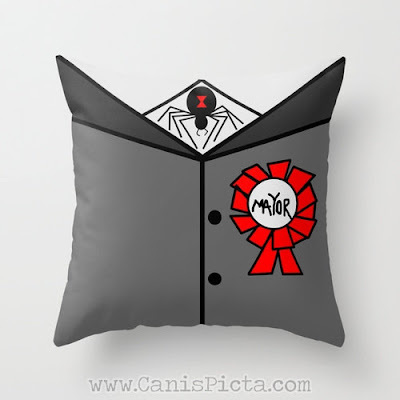 Here's the Mayor of Halloweentown throw pillow. Sadly, I don't see a matching duvet cover in this style. 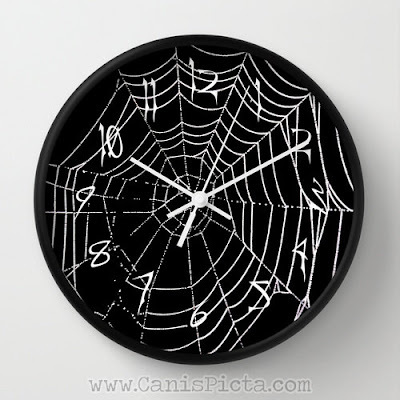 Here's a spiderweb clock that uses the Nightmare Before Christmas font to continue your decor theme in a bedroom or living room.